Siesta Key is surrounded by water – the Gulf of Mexico on one side and mainland bays on the other. This, along with the many things to see along the coast, makes Siesta Key the perfect place to go boating. Cruise the Intracoastal Waterway on your next family vacation at a Peppertree condo rental on Siesta Key with one of these Siesta Key boat rentals. 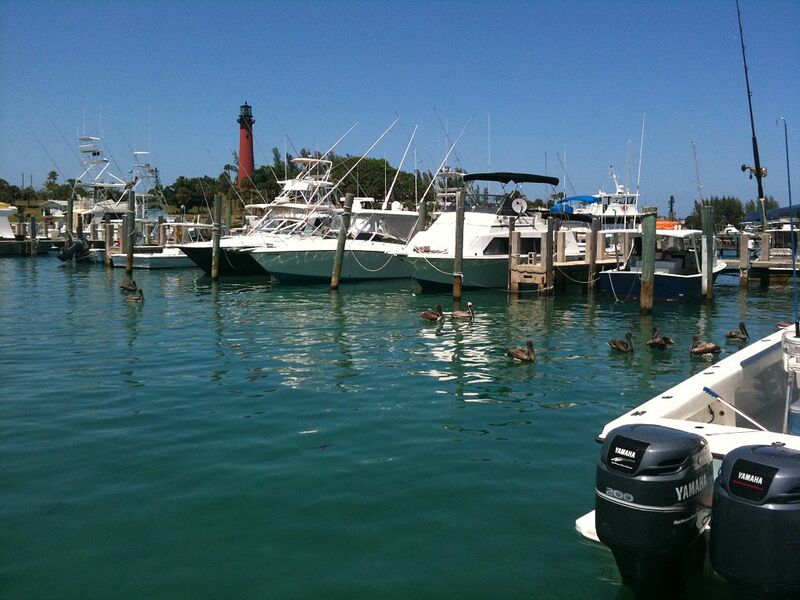 Siesta Key Marina is your go-to spot for all kinds of boats. For slow cruises, rent one of their pontoon boats. For a fishing adventure, rent a center console or deck boat. For family fun, rent a bow rider to let the kids sit up front. Siesta Key Marina offers full- and half-day rentals from 8 a.m. to 5 p.m., seven days a week. A damage deposit of $500 is required for. The marina reserves the right to cancel the rental the day of in case of bad weather. When you get back from your day on the water, stop by the brand-new Spearfish Grille for a bite to eat. This Old Florida-style restaurant serves up classic seafood dishes as well as some new creations. Open 11 a.m. to 10 p.m. daily, right at the docks of Siesta Key Marina. The marina is located at 1265 Old Stickney Point Rd., Siesta Key, FL. Give them a call at (941) 349-1970 for more information on boating in the area. CB’s Saltwater Outfitters is a one-stop shop for all your boating and watersports needs. They offer a variety of power boat rentals, as well as paddlecraft and fishing gear. Fish or sail the sea atop runabouts, center console, deck, and pontoon boats for four hours or a full day. Coast Guard equipment and nautical chart included in all boat rentals. All renters must be 23 years of age to rent, and drivers born in 1988 or later must have a Boater’s Licence. Boats are intended for cruising in the bay and waterways only. A $250 security deposit is required for all rentals. CB’s Saltwater Outfitters also rents jet skis, paddleboards, and fishing tackle, and they have a beach shop on site. Rentals are available from 8 a.m. to 5 p.m. CB’s Saltwater Outfitters is located at 1249 Stickney Point Rd., Siesta Key, FL. For more information, call them at (941) 349-4400. Black Pearl offers a fleet of pontoon boats for one-, three-, or six-day rentals. These guys deliver right to the docks of canal-front vacation rentals on Siesta Key or offer the option of pick up at Bay Park (946 Siesta Dr., Siesta Key, FL) on the north end of the island. Pick you boat up at 9 a.m. and return it at 5 p.m. the same day or, for longer rentals, the day your rental ends – no refueling required! Explore the keys and the coast of Sarasota via the inshore, cruising through the many bays and canals. Black Pearl boats are not allowed on the Gulf of Mexico. Black Pearl also rents paddleboards and beach equipment at daily and multiday rates. Book online or call them at (941) 735-9460 for information and reservations. Siesta Key boat rentals are a great way to see marine life, check out secret coves and beaches, or go for a family fishing expedition. They’re also a great way to see the series of barrier islands that Siesta Key belongs to, including Casey Key to the south and Lido and Longboat Keys to the north. Check out local restaurants like Ophelia’s on the Bay, Casey Key Fish House, and the Old Salty Dog, as well as other attractions and Sarasota County’s beautiful beaches. Wind through the region’s waterways and speed across its bays for a few hours or the whole day. Be sure to keep your eyes peeled for dolphins, manatees, migrating birds, and other marine life.